Welcome to the Bureau of Land Management(BLM), General Land Office (GLO) Records Automation web site. 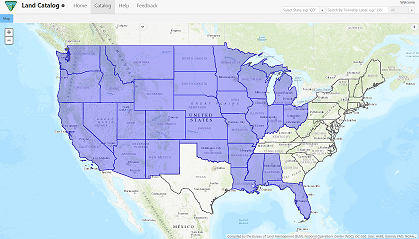 We provide live access to Federal land conveyance records for the Public Land States, including image access to more than five million Federal land title records issued between 1788 and the present. 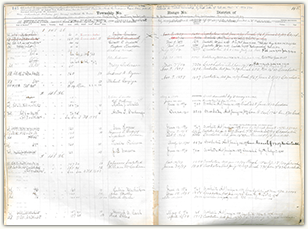 We also have images of survey plats and field notes, land status records, and control document index records. 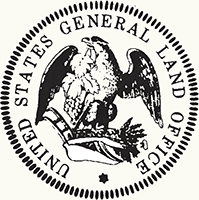 Due to organization of documents in the GLO collection, this site does not currently contain every Federal title record issued for the Public Land States. Federal Land Patents offer researchers a source of information on the initial transfer of land titles from the Federal government to individuals. In addition to verifying title transfer, this information will allow the researcher to associate an individual (Patentee, Assignee, Warrantee, Widow, or Heir) with a specific location (Legal Land Description) and time (Issue Date). 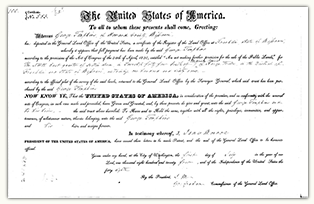 We have a variety of Land Patents on our site, including Cash Entry, Homestead and Military Warrant patents. Survey plats are part of the official record of a cadastral survey. Surveying is the art and science of measuring the land to locate the limits of an owner's interest thereon. A cadastral survey is a survey which creates, marks, defines, retraces or re-establishes the boundaries and subdivisions of Federal Lands of the United States. The survey plat is the graphic drawing of the boundaries involved with a particular survey project, and contains the official acreage to be used in the legal description. 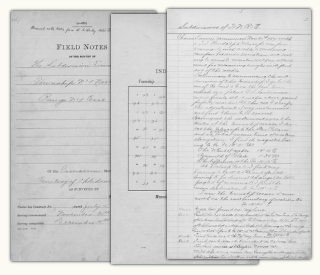 Field notes are the narrative record of the cadastral survey. They are written in tabular format and contain the detailed descriptions of entire survey process including the instrumentation and procedures utilized, calling all physical evidence evaluated in the survey process, and listing all of the individuals who participated in the work. 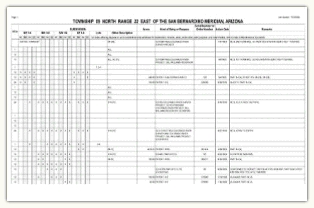 Land Status Records are used by BLM Western State Offices to document the ongoing state of a township's Federal and private land regarding title, lease, rights, and usage. These documents include Master Title Plats, which are a composite of all Federal surveys for a township. Other Land Status Records include Use Plats, Historical Indices, and Supplemental Plats. The Control Document Index includes BLM documents that affect or have affected the control, limitation, or restriction of public land and resources. CDI documents include public laws, proclamations, and withdrawals. CDI documents have been kept on microfilm since the 1950’s, but are now being scanned and linked to existing data records from BLM’s LR2000 database. Tract Books are used by BLM Eastern State Offices as the basic index for public land title research. 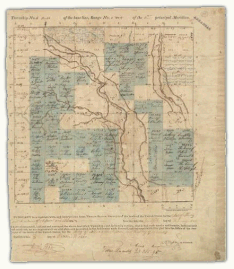 Tract Books are simply listings of all the transactions involving surveyed public lands—by State or territory, meridian, township, range, section, and subdivisions. Today, there are 1,582 original General Land Office tract books at Eastern States, showing how, when, and to whom title to Public Domain lands passed from the United States—in the States of Alabama, Arkansas, Florida, Illinois, Indiana, Iowa, Louisiana, Michigan, Minnesota, Missouri, Mississippi, Ohio, and Wisconsin.